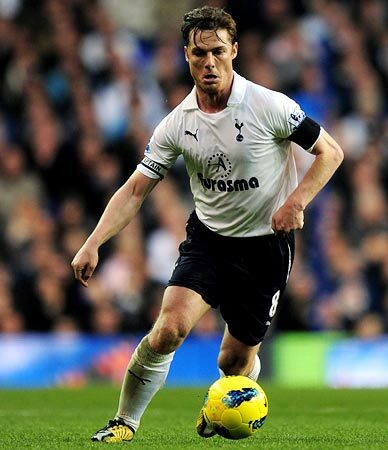 Scott Parker has turned out to be a hero for Tottenham Hotspur, since his arrival on transfer deadline day in August. The 31-year-old midfielder is yet to taste defeat as a Spurs player -- as the London club have now won six games in a row and marked 11 English Premier League games since their last defeat -- equalling the club record. Such has been the impact of the midfielder that he's also taken both September and October's Player of the Month awards. Parker has represented England at every level from under-15 to the senior team and recently played a crucial role in England's 1-0 victory over Euro and World champions Spain. In an interview, Parker discusses Tottenham's recent successful run and his delight at being part of the squad. The fun thing for us on the sidelines is it seems like you've been doing this for years, but do you think that you've done more this year than usual? I suppose I have been doing it for a while, but it seems like it's the last few years where my profile have risen a little bit and obviously over the last couple of years my form has been quite consistent and I'm playing at the highest level of my career. For what reason that is, I don't know really. 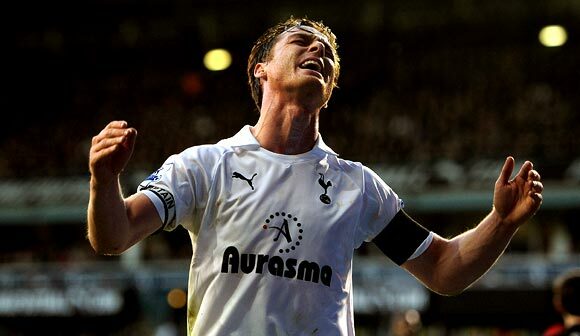 Where you stand in 2011 now, you're in a Tottenham side that are flying in the league and an England side which you're back into and holding down that place and playing well. It must be a good feeling for you to not only be achieving yourself, but now you're in teams that are doing the same? Yeah definitely, last year was obviously difficult being involved in a relegation battle and this year's very different. 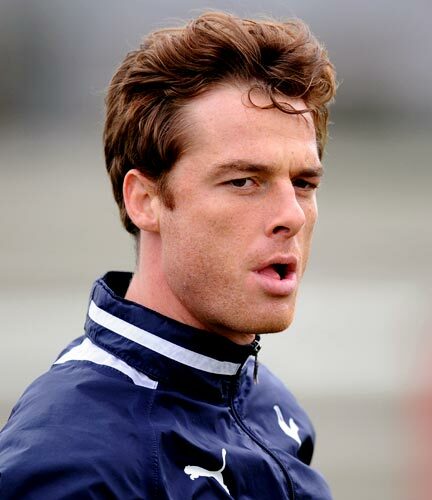 We had a good side at West Ham, but I've come to Tottenham now with some exceptional players. It's very pleasing and it's good to be winning games and competing at the right end of the table as well. As for England, I've managed to get myself into the squad and then the team, which is massive for me. I've realised I need to maintain my form and I will try and do that, and if I do then long may it continue. It's a great team to watch at the moment, Tottenham, it must be a great team to play in. Yeah it is, it's clear to everyone to see that we've got a lot of quality in our side, we play in an attractive way as well and we've got so much pace in our team going forward we can cause any team a lot of problems. For me it's a pleasure to play in. Yeah, it's always pleasing when you come to new club and settle in quickly and the fans took to me quite well and the players have made it easy for me, they're a very good bunch of lads here. It's always easier when you're playing with good players and it's nice to fit in, and I'd like to think I've done that. From the outside it seems like you were wanted for a long time by Tottenham, so did that make the bedding-in process easier? I'm not sure, over the last couple of years there was always talk of Tottenham and hearing that they're coming in for me, but like anything, when you go to a new club it's always difficult. You're in new surroundings, you've got new tactics, everything, so it is difficult. I think I'm experienced in that, I've had a few moves now, so I seem to have gotten used to it. Does the move to Tottenham help you with England? With the confidence you have going straight into the side? Yes I think so, like anything, I think confidence is key. I came out of a tough season but one where personally I did quite well, so my confidence was high. Then coming straight here and winning games was massive as well. At the moment everyone's confidence is high, so it is pretty easy in certain situations. Yeah I think at the beginning our aim and our focus was the Champions League and obviously we're doing very well, but it's a long season and we know that. I think we'll take each step as it comes at the moment and hope we keep winning games and keep going on the run we're on. If there is a dip we'll try to rectify it and try and start winning games again but at the moment things are going really well. A top four finish was our aim at the start of the season and that's what we're still heading for. Yeah, it'll be a big tournament and it'll be my first, so hopefully I can maintain in the squad and injuries stay away. I'm looking forward to it, but my main focus now is on Tottenham and the job in hand here, but the summer will be massive for us and something I'm really looking forward to. Yeah, there's always pressure when you're playing for England, but it was a tough game against Spain and it's clear to see that they're a fantastic side, you're not world champions for no reason. But we got the result which was what we needed. There are other plusses, they're a lot of young players coming through and there's experience there as well. We've been in this position many times before, going into tournaments, and failed. So we'll just take it step-by-step this time and see what happens. Just going back to the start of the year, your performances for West Ham were superb, but obviously bitterly disappointing in the end because you weren't able to hold off relegation? Yeah it was really disappointing last year, obviously no one wants to be involved with relegation and I was. We did all we could really, it was a tough season and we got relegated. But things change, and after relegation things had to change, I said that last season, and I've moved on along with a lot of other people at West Ham at the time. They'll be fine though, I'm sure they'll come straight back up and I'll look forward to what the future holds at Tottenham. Well, I suppose I went out there and did what I do, like anyone. I get paid for playing football every week and that's what I try to do. Sometimes it was enough, but sometimes it wasn't, and as a team we failed, all of us, and that was it. Yeah, obviously a lot of players my age get the 'coming of age' label, but I've been playing the Premier League for quite some time, I played some good stuff at Newcastle and obviously at West Ham as well, so I just appreciate that people are recognising what I've done, what I'm trying to do and the way I play, and that's what means the most to me. The players who I play with appreciate it and I'll just try to maintain that and as long as I do, I'll be happy.